Child loss is a heartbreaking journey for parents who are left behind. When a child dies, a part of the hearts of every bereaved parent goes with a precious child into eternity. No parent, ever, wishes to survive their own child. Forever Namaste is a raw and personal account of my own private journey through the first two years after the sudden death of my first-born daughter to pulmonary embolisms. For parents who have lost a child, the journey forward is often a lonely path. Culturally, many believe child loss is something a parent will eventually overcome or recover from. Child loss is not an addiction or disease. It is the most horrific earthly journey a parent could travel – a journey which concludes only with a bereaved parent’s death and reunion with a precious child. Future joy after child loss has to be slowly and soulfully integrated with great sorrow. Grief does become softer, even hauntingly beautiful, as parents awaken to make conscious and deliberate efforts to find love, light, truth, hope, and grace in the after-death part of earthly life. 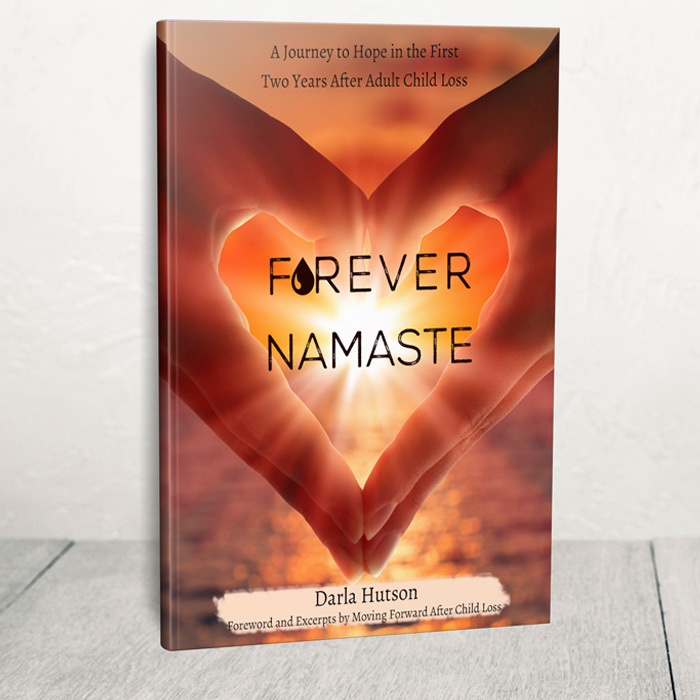 Forever Namaste is now available as an eBook for immediate download. If you know of another parent or family who is struggling in the early months and years after the death of a child, the book will become a friend and companion for the journey no parent ever wishes to travel. It offers real support and encouragement to help bereaved parents climb the ominous mountain of grief toward a life of peace, hope, and future joy. Please note: At check-out, you will be offered two types of eBooks to download: the PDF file is best printed or read from a desktop. The ePub file can be read from any smartphone, iPad, or tablet. You will need one of the free eReader apps available in the iTunes or Google Play store. This book is a work of love, pain, and renewal. Bravo! A must read for any grieving parent in the first stages of a life long journey. Raw and Real! A beautifully written account of loss, grief and eventually moving forward. Highly recommend to any bereaved parent at any stage of the child loss journey. A tender insight into an extraordinary journey no parent wishes to make. This book shares the pain, sorrow, and hope felt after the loss of a child. A heart-wrenching account filled with courage, promise, and the never ending love of a parent for their child. I felt myself nodding and laughing and crying along with so many parts of this book. We lost our daughter in infancy yet I’m always struck by how many parts of parental grief are universal spanning all diagnoses, ages, circumstances, and time. Darla portrays the honest truth behind the first two years of grieving a child weaving her message of hope and eternity amid the darkness. Beautiful. Christina is so loved and missed.